The ATO is collecting data from financial institutions and online selling sites as part of their data matching programs for credit and debit cards, online selling and ride sourcing. payments made to ride sourcing drivers from accounts held by the ride sourcing facilitator. The ATO’s ride sourcing data matching program has been developed to address the compliance risk of the registration, lodgment and reporting of businesses offering ride sourcing services as a driver. It is estimated up to 74,000 individuals (ride sourcing drivers) offer, or have offered, this service. The ATO will request details of all payments made to ride sourcing providers from accounts held by a ride sourcing facilitator’s financial institution for the 2016-17 and 2017-18 financial years. They will match the data provided by the facilitator’s financial institution against our records. This will identify ride sourcing drivers that may not be meeting their registration, reporting, lodgment and/or payment obligations. This will impact you if you offer ride sourcing as part of your business. Single Touch Payroll is a government initiative to simplify business reporting obligations. In the previous issue of TaxWise Business, we noted that the Budget Savings (Omnibus) Bill 2016 which contains the Single Touch Payroll rules, had been introduced into Parliament. This has now become law. The Single Touch payroll regime will enable employers to report salary or wages, pay as you go (PAYG) withholding and superannuation information to the ATO from their payroll solution, at the same time they pay their employees. This will mean simpler reporting obligations and more options for completing tax and super forms electronically. Single Touch Payroll reporting will be available to all employers from 1 July 2017. However, only employers with 20 or more employees will have to report this way under the law. They must start reporting through Single Touch Payroll from 1 July 2018. Further information is available on the ATO website: Simpler-reporting-with-Single-Touch-Payroll. If you are an employer with 20 or more employees, you will need to look into your reporting to the ATO to ensure it complies with the requirements of the Single Touch Payroll regime. The ‘Black Economy’ Taskforce, to be chaired by former chair of the B20 anti-corruption taskforce, Mr Michael Andrew AO, will provide an interim report to government in March 2017. Tackling the ‘black economy’ requires a whole of government approach and participants will include the Reserve Bank of Australia, the Australian Federal Police, ASIC, APRA, AUSTRAC, and the Departments of Human Services and Immigration. It is important that businesses keep all their business and client information secure. If data is lost or compromised, it can be very difficult or very costly to recover. Certain transactions between overseas and Australian businesses are no longer subject to Australian goods and services tax (GST). These changes came into effect on 1 October 2016. See the previous edition of TaxWise Business for further information. Overseas businesses with whom you transact may no longer need to be registered for GST if they supply to (or are supplied from) Australian businesses. They may therefore no longer need an Australian ABN and may no longer be required to identify the exact amount paid for international transport, insurance and other ancillary costs. This applies when calculating the value of taxable importations for GST purposes. They can choose to use an uplift factor of 10% of customs value as a proxy for these costs. For more information on GST cross-border transactions between businesses, including specific changes for non-residents and Australian businesses, visit the ATO’s website. Talk to your tax agent about how the change in GST status of overseas businesses you transact with may impact on your own GST obligations. Talk to your tax agent to find out how this may impact on your activity statement reporting to the ATO. The ATO has collaborated with industry representatives to develop a safe harbour for car fringe benefits. A safe harbour is a guideline that allows businesses to make use of an efficient way to calculate their tax where certain conditions are met. This safe harbour will simplify the approach for working out the business use percentage of car fringe benefits for fleets of 20 cars or more. The new approach reduces the record-keeping burden for your business clients. It allows them to use an ‘average business use percentage’ when using the operating cost method. To find out how it works, talk to your tax agent. business software that meets the ATO’s requirements. It is best to get the assistance of your tax agent when completing your Taxable payments annual report. The foreign resident vendor must lodge a tax return at the end of the financial year, declaring their Australian assessable income, including any capital gain from the disposal of the asset. A tax file number (TFN) is required to lodge a tax return; they will need to apply for a TFN if they don’t have one. The vendor may claim a credit for any withholding amount paid to us in their tax return. The previous edition of TaxWise Business covered the superannuation reform package extensively in detail. The reforms passed into law in December 2016. The ATO has also begun issuing guidance to assist taxpayers to understand the new superannuation reforms. However, your tax agent will be able to assist you to understand the new reforms and what they might mean for you. Although the ATO has developed lots of tools to help employers meet their superannuation obligations in relation to employees, employers should still consult their tax adviser for help and support to meet their superannuation obligations. 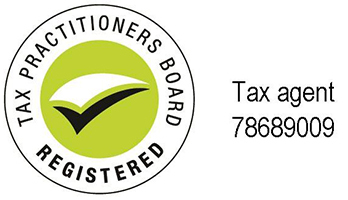 Previous editions of TaxWise Business have included information on SuperStream. If you haven’t made the switch to SuperStream, you should work with your tax adviser to help you become SuperStream compliant. Do you send employees to work temporarily overseas? If so, you still need to make super contributions in Australia for those employees. Your employees may also have to pay super or social security in the foreign country. A certificate of coverage exempts them from those obligations in countries we have bilateral agreements with. Your tax agent can use the automated form on the Tax Agent Portal to request a certificate of coverage on your client’s behalf. However, you need to grant your tax agent access to your certificate of coverage account first. This can be done via Access Manager in the Business Portal. If you employ (or plan to employ), working holiday makers, you must register with the ATO. Once you register, a withholding rate of 15% applies to the first $37,000 of a working holiday maker’s income. From $37,001, normal foreign resident withholding rates apply. If you do not register, you must withhold tax at 32.5% for the first $37,000 of a working holiday maker’s income. From $37,001, normal foreign resident withholding rates apply. Penalties may apply for failing to register.